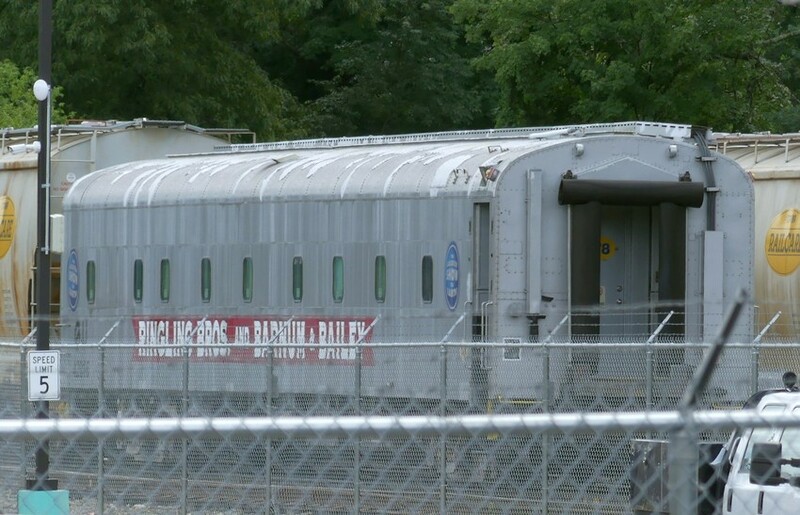 Did a drive-by of G&U's N Grafton yard today (Friday 8/3/18) to see if any progress has been made expanding the facility and while some track work was happening, the big news is that it appears G&U has acquired an ex-Ringling Brothers and Barnum & Bailey car RBX42016, an ex-UP "chair car" that RBB&B converted to an 8 bedroom sleeper. I'm guessing this arrived quite recently given it's in the middle of the yard. Anyone know anything about this acquisition?